Royal Caribbean International will operate eight ships in Europe in 2014. Liberty of the Seas, Navigator of the Seas, Serenade of the Seas, and Splendour of the Seas will sail the Mediterranean and augment recently announced deployment by Independence of the Seas, Adventure of the Seas, Brilliance of the Seas and Legend of the Seas in Northern Europe. 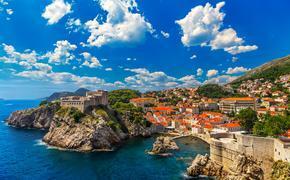 The 2014 Northern Europe cruises will open for booking on March 20, followed by Mediterranean cruises on March 28. Liberty of the Seas will sail seven-night Western Mediterranean round-trips from Barcelona to Marseille and Nice, France; and Florence/Pisa (La Spezia), Rome (Civitavecchia), and Naples/Capri, Italy. Navigator of the Seas will homeport at Civitavecchia for a program of seven-night Eastern Mediterranean cruises to Sicily, Italy; Athens and Crete, Greece; and Ephesus (Kusadasi), Turkey. This cruise can also be embarked in Messina, Sicily. Serenade of the Seas will alternate 12-night cruises from Barcelona to the Greek Isles and Venice. From September, Serenade of the Seas will homeport in Venice and alternate 10-night Greek Isles and 11-night Greece and Turkey itineraries. Splendour of the Seas will homeport at Venice for its Europe season and alternate seven-night Greek Isles and Greek Isles/Turkey itineraries. Jewel of the Seas will continue to sail seven-night Southern Caribbean cruises from San Juan through October 2014, offering three itineraries.